SOS Children's Villages has been working in Pristina since 2004, when we started providing loving homes to children who had lost parental care. Since then our activities have continued to grow, adapting to the changing social and economic situation of vulnerable families in the area. At the SOS Children’s Villages Kindergarten (photo: SOS archives). Pristina is the capital of Kosovo and also the largest city, with an estimated 208,000 inhabitants (2013 estimate). Kosovo remains one of Europe's poorest countries. The capital is better off than other parts of the country but in many areas of the city unemployment remains high, especially among ethnic minorities. Vulnerable families, many of which are from ethnic minorities, live in poor housing and have no stable employment. Adults and children have no choice but to search through rubbish; looking for food to eat or objects they can sell on. A common problem is the lack of identification papers; many are not officially registered with the authorities and therefore have no access to health care, education or social support. Children from these disadvantaged households don’t go to school and often lack the protection they need to keep them safe from exploitation. When children live in families affected by unemployment, poverty, domestic violence or substance abuse, they are at a higher risk of neglect and abuse. In spite of the government’s best efforts, many families do not get the support they need to stay together. Another source of concern is the high number of abandoned babies and children. Just in one maternity hospital in Pristina, about 30–40 babies are abandoned every year. The majority are born to young mothers from outside the capital. The babies have to stay in inadequate facilities in the hospital, until the authorities can find a place for them to go to. 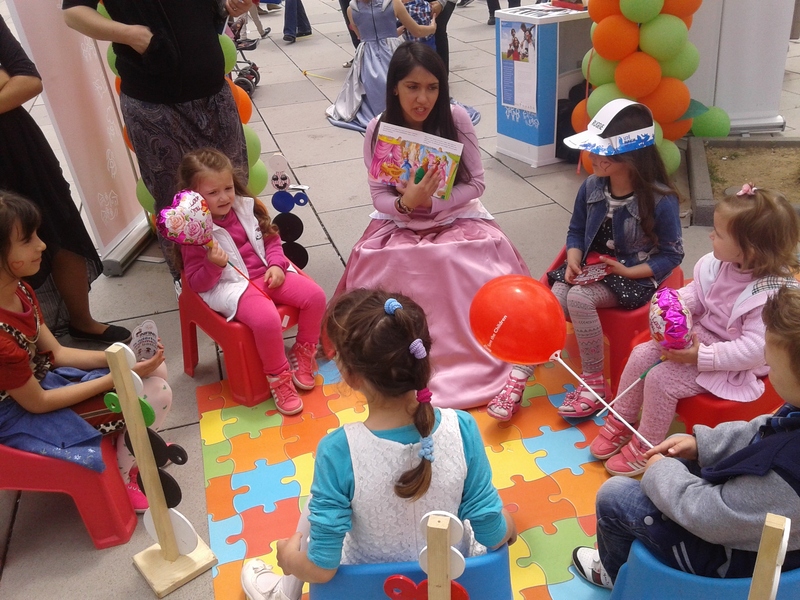 A young woman in our care reads a story during the International Children’s Day celebrations (photo: SOS archives). Strengthening families: SOS Children’s Villages offers family strengthening programmes to some of the most vulnerable families in Pristina. We collaborate with local agencies, ensuring that children can go to school and visit the doctor. We give families food, clothes and school supplies and help them improve their housing conditions. We also provide parents with legal advice, counselling and psychological support. Our training and advice helps them to seek employment. Care in SOS families: If children can no longer live with their families, they can find a loving home in one of the SOS families, which provide a stable and loving home. Some of the SOS families live in the community, and are therefore fully integrated into the neighbourhood. Every child has an individual "Child Development Plan" which is prepared in consultation with the child. The children are then offered the support they need – this may be with their school work or with different therapies. Caring for abandoned babies: In SOS Children's Village Pristina, three families care for babies abandoned in hospital. In each family, an SOS mother and her helpers look after up to six babies. We care for them until they find a more permanent home - some join foster families, others are adopted or taken into our permanent care. Education: The SOS Children’s Villages Kindergarten offers early years education for children from the neighbourhood, as well as those from the SOS families. As the children get older they attend the local school together. Supporting young adults: Young people, who are ready to leave their SOS families, can move into shared accommodation while attending further education or training. The social and economic situation of Kosovo makes it difficult for young people to become independent. Our SOS Youth Programme helps them make the transition into adulthood; with the support of qualified staff, they learn to shoulder responsibilities and make their own decisions.